Truffles coming to a vineyard near you! 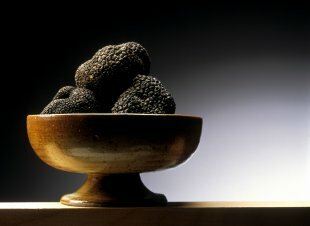 The truffle trend is coming to a vineyard near you. Thanks to new technology—which allows young oak and chestnut tree roots to be inoculated with black truffle spores—several U.S. wine producers are planting the tasty tuber melanosporum alongside their Pinot and Cab. Growing secondary crops on a vineyard promotes biodiversity and is key to the long-term health of the land, says Robert Sinskey, of Sinskey Vineyards, which is home to Napa Valley’s first truffle orchard. And given the fact truffles are in such high demand—selling for as much as $1,200 a pound—planting an orchard made perfect sense.